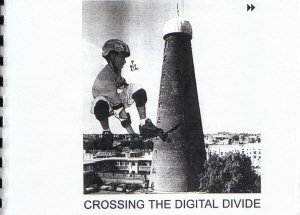 The Digital Hub - Author of a study "Crossing the Digital Divide' for the Digital Hub.The Digital Hub is an initiative of the Irish government to create an international digital enterprise area in Dublin city. It is also an urban regeneration project for the Liberties/Coombe area with a specific community remit. The Digital Hub aims to ensure that the local community benefits from its activities.